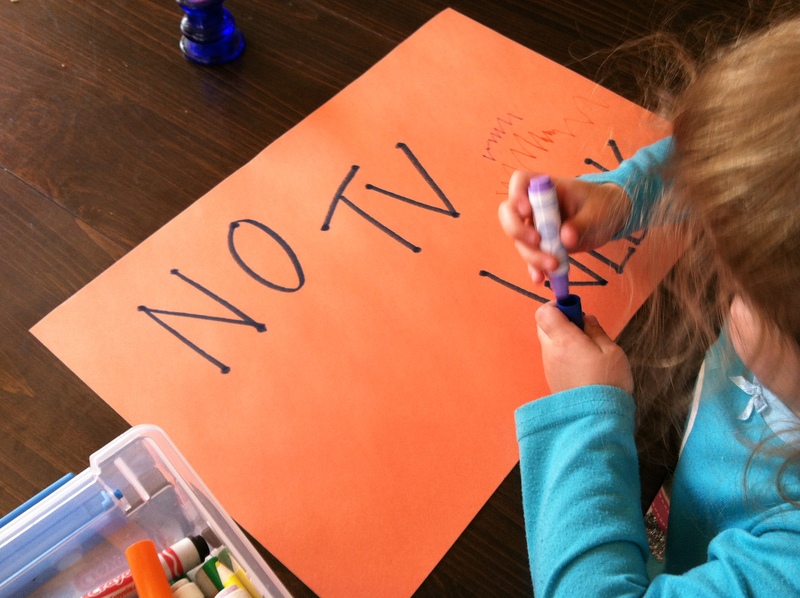 Screen Free Week is this week and the kids and I are once again participating. I do go online once a day and check my email but other than that, we are completely screen free. What about blogging you ask?? Not to worry, most of my blogposts have been pre-written for the week and are scheduled to go out while I’m off-line. 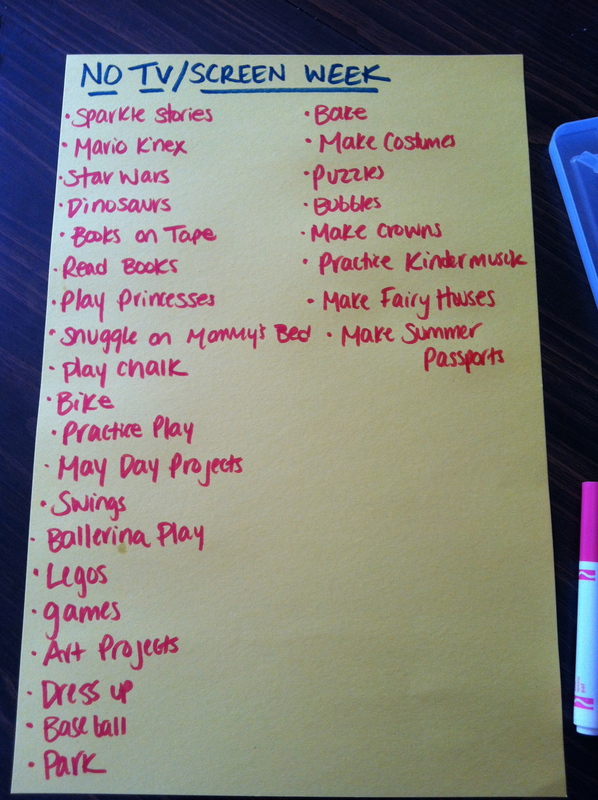 One of our favorite things to do before the week begins is to make a list of things we can do other than watch TV or play Wii. My children don’t spend a lot of time in front of screens on a regular basis…usually 60-90 minutes a day. Weeks we are sick that number goes up and since we just got over some week long illnesses and my back being out, it is time to take a break. Here is hoping that it is an easy week!! !